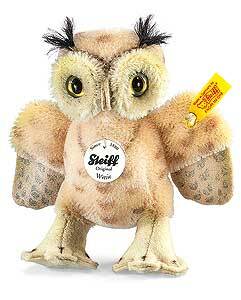 Our Steiff Classic Wittie Owl is made of the finest spotted beige mohair. This beautiful piece wears the famous brass plated Steiff button in ear and carries the classic yellow ear tag. 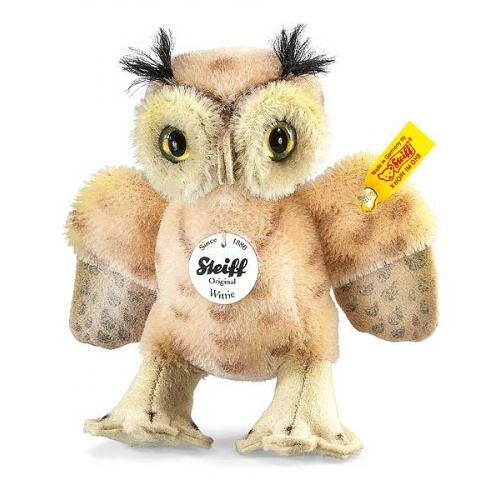 Product details: Steiff code EAN 033131, non jointed, safety eyes, synthetic filling material, surface washable only, total size 11cm.